Vanilla seed speckled chocolate chip ice cream anyone? I received a special order for jars of meringues this week so I had tons of egg yolks leftover. My mother ingeniously thought of using the egg yolks to make custard. She used seeds from vanilla beans she got from a trip to Sri Lanka. When it cooled, the custard was still a little runny and I assumed she didn’t cook it long enough to thicken. I asked her if she minded I make ice cream out of it. So I went ahead and brought the ice cream machine out and poured the custard in. When the ice cream was almost ready, I grabbed the already opened chocolate chip bag, which I was using for the meringues, and threw in the rest of the chocolate chips in. 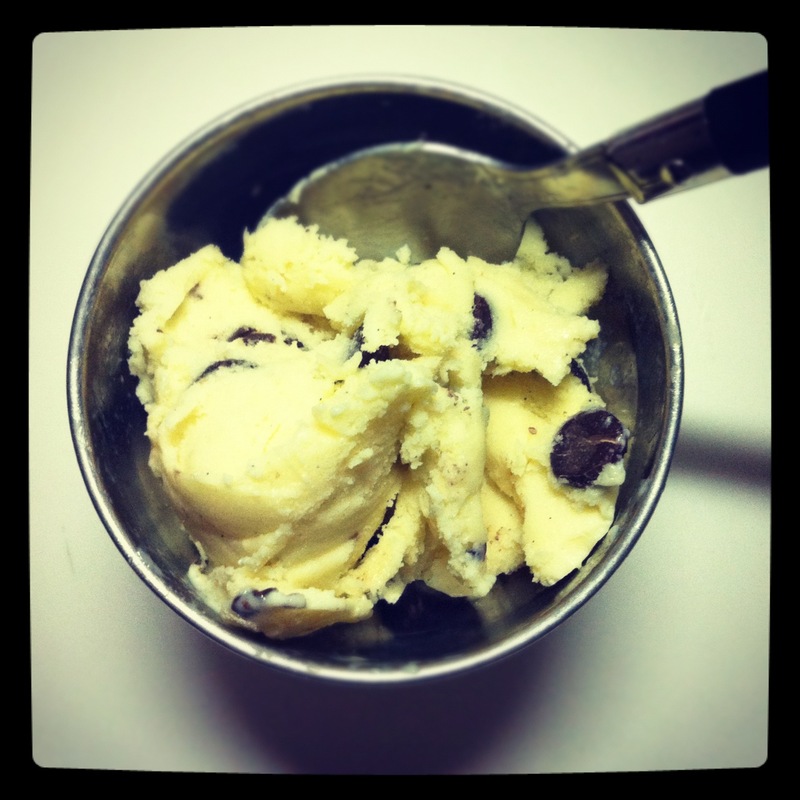 Beautifully vanilla seed speckled chocolate chip custard-base ice cream! Oh and I still have tons of eggs yolks left, we want to give another flavor a try. This entry was posted in Experiments, Express and tagged chocolate chips, custard, egg yolks, eggs, ice cream, left-over, meringues, vanilla, vanilla beans, vanilla seed by Budour. Bookmark the permalink. i would really love to try it! I’ll get the recipe from her!